In 1917, E.C. 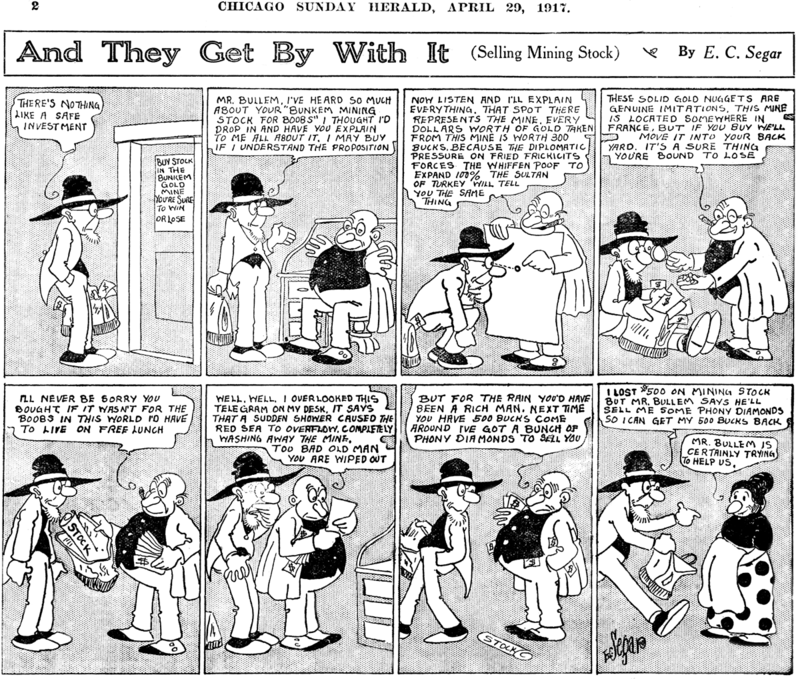 Segar still had more than a decade to toil in the cartooning trenches before becoming the world famous and wealthy creator of Popeye. When he created this almost forgotten feature, And They Get By With It, he was still little more than an amateur in way over his head at the Chicago Herald. 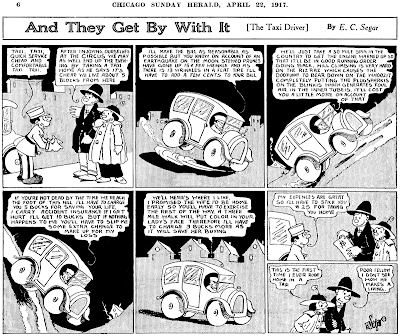 Coming on the heels of Segar's truly awful, amateurish stint on Charlie Chaplin's Comic Capers, this new series showed Segar's art improving by leaps and bounds. 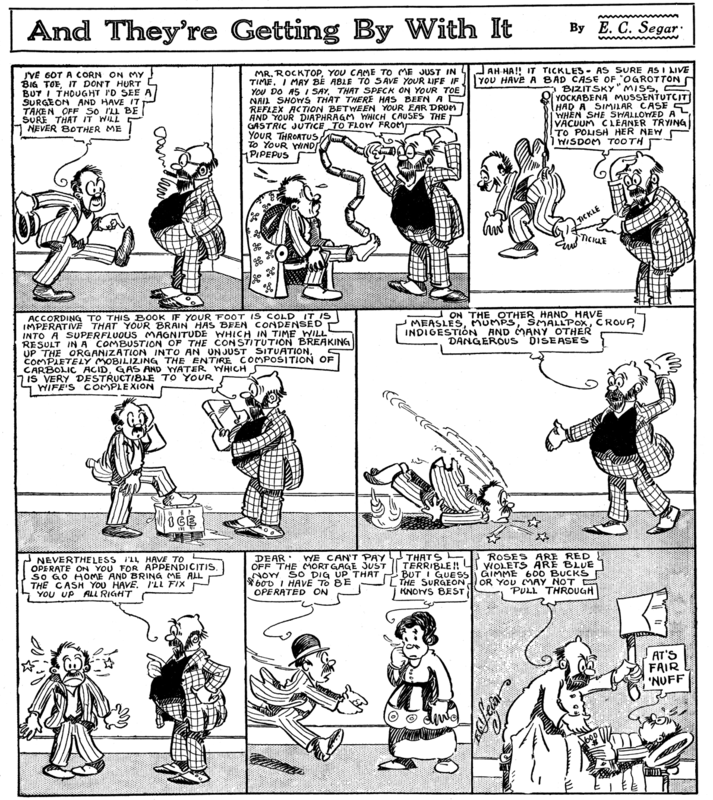 While the cartooning still wasn't great by any means, there was at least some command and life filtering into it (especially on that bottom example). 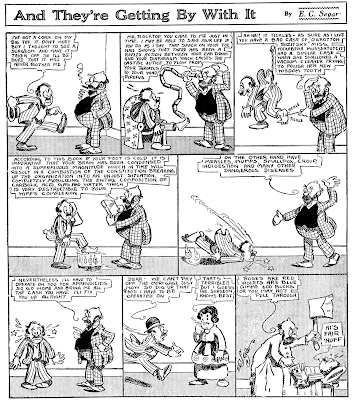 The series was funny, too, certainly an adjective that doesn't come to mind regarding Comic Capers. 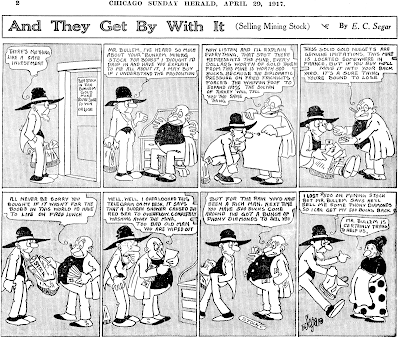 And They Get By With It (sometimes titled And They're Getting By With It) ran in the Herald's Humor and City Life section on Sundays from April 1 1917 to January 6 1918.